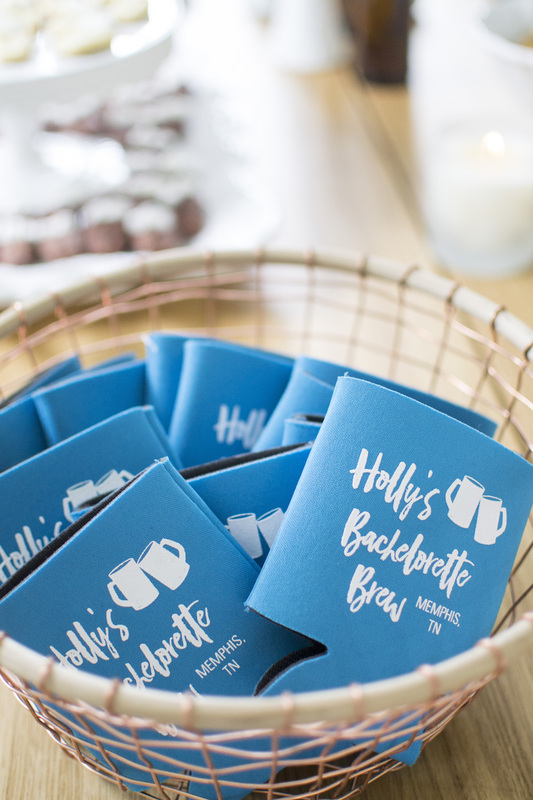 There was no shortage of food, friends or fun drinks at my sister Holly's "Bachelorette Brew" as we aptly named our Memphis brewery crawl on a March Saturday afternoon leading up to her wedding. From flowers in beer bottle vases and custom bachelorette coozies to soft pretzels (homemade by my husband!) and beer glass shaped cookies, we really went all out with the theme. Cheers to the bride-to-be!